Add this versatile and modern piece to any entertaining space. 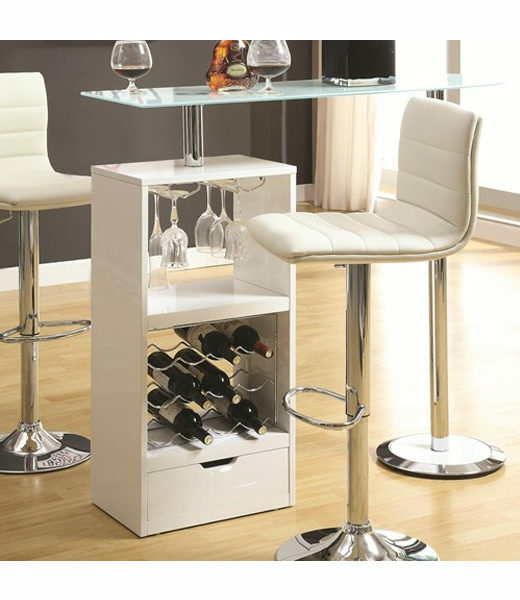 This contemporary bar table features a wine rack that stores up to 12 bottles of wine plus stemware storage. The modern design includes a sturdy tempered frosted glass table top. Add this versatile and modern piece to any entertaining space. 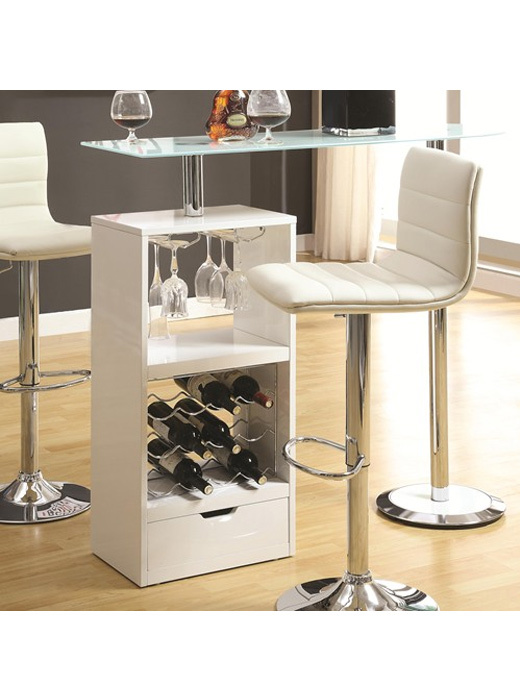 This contemporary bar table features a wine rack that stores up to 12 bottles of wine plus stemware storage. The modern design includes a sturdy tempered frosted glass table top. It is finished in white high gloss with a chrome base.